Ralmark Company Aircraft Pulleys are utilized in both primary flight control systems (Aileron, Elevator, Rudder) and secondary flight control systems (Flaps, Spoilers, Trim Systems) and braking systems on many aircraft. Ralmark Company holds Department of Defense approvals listed under QPL-7034 for our complete Military Standard Aircraft Control Pulley product line. 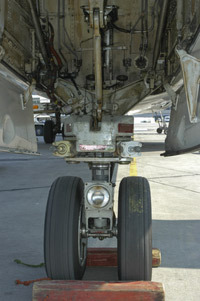 We offer a variety of FAA-PMA replacement pulleys.